Blurb: It’s hard enough being gay in high school, but Fay must also deal with hiding his magical ability—powers he barely understands and cannot possibly reveal. His best friend Sam is his only confidante, and even with her help, Fay’s life is barely tolerable. Everything changes when Janus University, a college for individuals with magical capabilities, discovers the pair. When the university sends a student to test them, Fay and Sam, along with their classmate Tyler, are catapulted headfirst into a world of unimaginable danger and magic. Fay and Tyler begin to see each other as more than friends while they prepare for the Trials, the university’s deadly acceptance process. For the first time, the three friends experience firsthand how wonderful and terrible a world with magic can be, especially when the source of Fay’s power turns out to be far deadlier than anyone imagined. As the Speaker unfurled the scrolls once more, showing no hesitation as she read out the next two teams to eliminate each other. The dark-skinned boy, Theo, and the small brown-haired boy, Anthony, whom Tyler and I had rescued on the night of the attack, rose out of their seats to our right. Both of them looked stoic and determined. Theo’s eyes were glowing an eerie yellow, and his mouth was slightly parted, revealing a glistening set of sharp fangs. He was dressed in a skintight version of the rune-covered gear the rest of us had on. Anthony just looked incredibly focused, brushing his mediumlength brown hair out of his eyes as he stepped into the Arena alongside Theo. He was wearing a robe, but with a high collar instead of a hood. His hand was wrapped around something inside his collar, and he already seemed to be muttering something. Sam, Tyler, and I glanced at each other, trying to work out what strategy would be best against the two of them. We stood up and walked to the edge of the Arena, Aria hurriedly whispering “Good luck!” behind us. Sam strode through the barrier confidently, blue light pulsing around her as she passed inside. Tyler looked at me trustingly as I put my hand in front of me and pushed. It was like putting my hand into water, and blue light rippled out from where I had made contact. I stepped through slowly as well, and Tyler followed immediately behind. The Speaker wordlessly pointed us toward our corner, and we stepped inside the circle. On the other side, Theo and Anthony did the same thing. Moments later the Speaker and the pedestal vanished, and the circles went dark. Almost immediately, Sam’s voice rang out in my head. Fay, I’ve set up a Connection between the two of us, but I can’t include Tyler because he doesn’t have the magic to join from his side. Did you see these two fight? Yeah, I saw Theo turn into a leopard, I think, except he was easily the size of a grizzly or larger, and I saw Anthony. He uses chess pieces on a board, and when they fall to the ground, they become life-size and fight. He’ll swarm us with pawns and the like, and I’m not sure what else that board can do. If you can, take him out first. Our Wards have handled worse than Theo can dish out, I’m sure. The three of us ran out of the way as Theo sprinted toward us, ending in a running leap. His body twisted and lengthened in midair as a coating of spotted fur spread over his form, and a massive leopard sank its claws into the ground where we were just standing. Anthony had pulled out his chessboard, and a handful of black pawns fell to the ground, armed swordsmen made entirely of obsidian springing forth and advancing lockstep down the middle of the Arena. 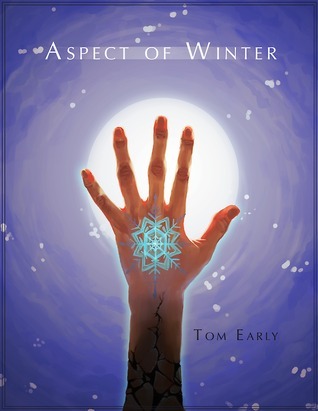 Tom Early is currently a student at Tufts University who probably spends more time than is wise reading and writing instead of studying. More often than not, he can be found wrapped in a blanket on the couch forgetting most of the things he was supposed to do that day. When not writing, Tom can be found either reading, gaming, drawing, scratching his dog, or bothering his friends. He also frequently forgets that it’s healthy to get more than six hours of sleep a night, and firmly believes that treating coffee as the most important food group makes up for this. If you show him a picture of your dog, he will probably make embarrassingly happy noises and then brag about his own dog. He’s always happy to talk about any of his previous or current writing projects, because people asking him about them reminds him that he should really be writing right now. First off, congratulations to the author and much success. By the blurb and excerpt, the story seems to be filled with action, which is something I truly enjoy. This is a new to me author and I'm looking forward to learning more from his works.